This property speaks for itself. 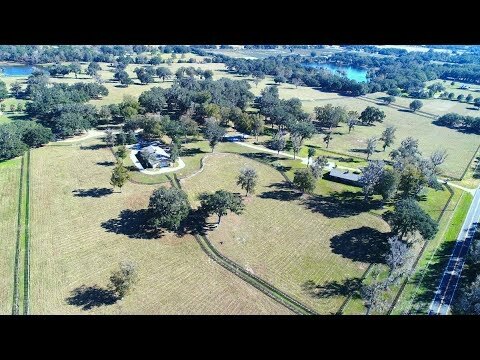 119.35 Acres of majestic rolling acres graced with Granddaddy Live Oaks and green manicured pastures suitable for any breed of horses, as well as cattle. Spring fed pond with gazebo and dock offer an enjoyable place to relax and if your interested in fishing – there’s 8 to 10 pound bass. Spectacular building sites for the main residence of your choice. Corporate office with spectacular views from every window 3/2 home for guest or manager, 6-stall stallion barn with breeding shed and office/apartment; 18-stall custom show stable with apartment, a/c tack room, saddling station, arena, covered round pen with viewing area; 18-stall turn-0ut barn and equipment building with workshop. This is an exceptional property.